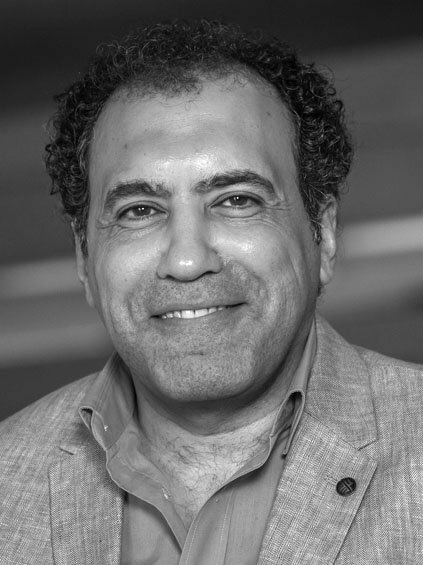 Professor Ahmed Elmarakbi has been involved in higher education for 25 years, leading research teams, teaching programmes, business engagement, and multi-disciplinary collaborative projects in many countries worldwide. He obtained his PhD in Mechanical Engineering from University of Toronto, Canada in September 2004. After three years as a NSERC/JSPS fellow in Canada and Japan, he moved to the University of Sunderland in 2007 (Senior Lecture 2007-2011; Reader, 20011-20012; Professor 2012-2018). Recently, Ahmed moved to Northumbria University as Professor of Automotive Composites and Head of Subject (Mechanical Engineering). He is also a Visiting Professor of Vehicle Lightweighting at Hunan University. His research work focuses on developing robust, reliable and sustainable material solutions (based on graphene and related materials) and implementing new concepts and technologies in industrial scale. It aims to establish and strengthen the link between the development of novel advanced nanocomposites with unique synthesis and functionalities, and the improvement of the modelling capability and the need for securing refined results for the design of real structural components and energy conversion/storage systems. Ahmed's work outcomes are recognised both nationally and internationally as evident from over 90+ plenary lectures, invited talks, keynotes and presentations; over 150 peer-reviewed research papers and patents. He received many prestigious awards and grants, including EPSRC (UK), NSERC and OGS (Canada), JSPS (Japan), FP7, Horizon2020, and Graphene Flagship (EU), and several direct national and international projects. Professor Elmarakbi is also part of the €1bn European Graphene Flagship and leading composites for structural application task. The pioneering project is exploring how graphene can be used to create lighter, stronger, safer and more energy-efficient aerospace and automotive structures. His role leading the graphene structural application in the flagship - alongside partners in Italy, Spain and Germany has created many opportunities to network and engage around the world.